Although many antiepileptic drugs have become available for the treatment of epilepsy since Gowers and his contemporaries prescribed bromide by the ton over 100 years ago, the proportion of patients with epilepsy who become seizure-free with drug treatment has not declined greatly . Fortunately, a number of other treatment modalities have become available, especially for some patients with particularly disabling and frequent seizures. We now have high-level evidence of the beneficial medium term effects of epilepsy surgery on seizure control (at least in lesional temporal lobe epilepsy) . The importance of achieving epileptic seizure control cannot be denied. The complete control of seizures delivers clinically important benefits such as a reduction in the risk of SUDEP, seizure-related injuries, psychiatric comorbidity and – if antiepileptic drugs can be discontinued – the elimination of drug-related problems such as side effects, interactions with other medical treatments or teratogenic effects. However, it has become increasingly clear that epilepsy is a biopsychosocial disorder in which disability and health related quality of life are affected by many other factors than seizures. This means that outcome measures other than seizures have become increasingly important in the consideration of the relative merits of both medical and surgical treatments for epilepsy . My editor’s choice article in the current issue of Seizure by Jennum et al. makes a significant contribution to our understanding of the psychosocial outcomes of epilepsy surgery . Their results are mixed. Comparing 254 patients treated with epilepsy surgery and 989 medically treated patients with epilepsy, they find that patients in the surgery group consume more healthcare resources before and after surgery than those in the medically treated group. However, in the surgery group, the operative intervention significantly reduces costs associated with medication, outpatient services, inpatient admissions and emergency department visits. While epilepsy surgery therefore emerges as cost effective, it had no significant effects on patients’ social status in terms of occupation or educational level two years after surgery. These social outcomes are rather crude, but the findings are in keeping with earlier research. The limited value of epilepsy surgery for patients in terms of social benefits is a fact that individuals should take into account when them make decisions about epilepsy surgery. Having said that, it may be possible to improve social outcomes in the future through the earlier identification of patients likely to benefit from surgery, the more timely surgical intervention (especially in children with epilepsy) and the use of surgical procedures with more limited adverse effects on cognition and functioning. (1) Scott A, Eadie M, Lees A. William Richard Gowers 1845-1915 – exploring the Victorian Brain. Oxford: Oxford University Press, 2012. (2) Wiebe, S., Blume, W.T., Girvin, J.P., Eliasziw, M., Effectiveness and Efficiency of Surgery for Temporal Lobe Epilepsy Study, G. A randomized, controlled trial of surgery for temporal-lobe epilepsy. N Engl J Med 2001; 345:311-318. (3) Perry, M.S. and Duchowny, M. Surgical versus medical treatment for refractory epilepsy:outcomes beyond seizure control. 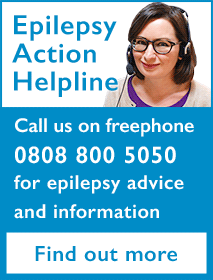 Epilepsia 2013; 54:2060-2070. (4) Jennum P et al. Socioeconomic outcome of epilepsy surgery: a controlled national study. Seizure 2016, 42: 52-26.